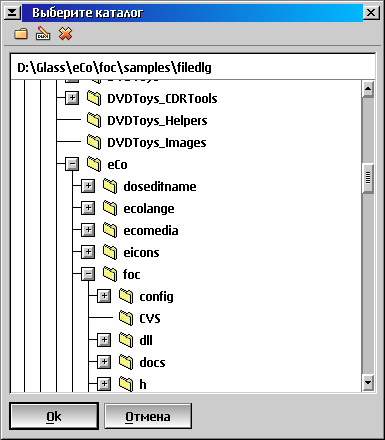 The library should be included to eCo Software toolkit / runtime in April 2010. Q1: Can I use FOC control to create WinZip-like application? A1: You can use FOC to visualize the tree of computer disks. To visualize .zip contents you should create other Container (WC_CONTAINER) and control it by yourself (fill, draw, process events, ..).